The University of Sheffield invests a significant amount of funding each year in order to support the very best postgraduate research students. For entry in 2013-14, the Arts & Humanities Faculty is offering a number of Fees Scholarships for Masters applicants on a competitive basis. These Fee Scholarships are intended to support students embarking on a Masters programme in preparation for undertaking a PhD at the University of Sheffield. The Arts & Humanities Masters Fee Scholarships will cover the cost of the tuition fees (at the Home/EU level) and are tenable for one year full-time or two years part-time. You should have, or expect to achieve, a first or upper second class UK honours degree or equivalent. You should be applying to start your first year of study with the University for 2013-14 on a full-time or part-time programme of Masters study in a department that is part of the Faculty of Arts & Humanities. Awards are open to UK, EU and international applicants (international students should note that the Fee Scholarships are offered at the Home/EU level and if successful you will be required to fund the difference between the Home and Overseas fee). Discuss your study plans with the relevant academic department. Apply for admission to the University. We advise you to apply for admission as early as possible, and at least a week before the scholarship application deadline in order to receive your application number in plenty of time – you will need this to apply for a scholarship. Once you have received an application number, complete the online Masters scholarship application form. Closing date for applications for 2013-14 entry – 12 noon (UK time), 29th March 2013. You can expect to hear if your scholarship application has been successful by the end of May 2013. If you have any questions about these scholarships please see our FAQs or email pgr-scholarships@sheffield.ac.uk. 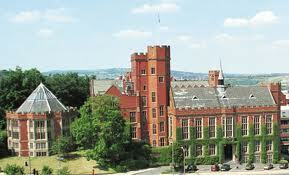 Demikianlah artikel mengenai Arts & Humanities Masters Fee Scholarships, University of Sheffield, UK Semoga Bermanfaat Bagi Anda.